In Strike! we saw how mass strikes might lay the basis for a new society. We have noted occasions when, as in the Seattle general strike, workers themselves envisioned "reopening more and more activities under. [their] own management," and situations such as the bootleg coal industry where they have actually done so. We have observed the development of "new independent forms of workers' organization" within which lie "a foundation of social relations at the point of production which can potentially come forward to seize power in a crisis situation and give new direction to society." But how can such a new society come about? 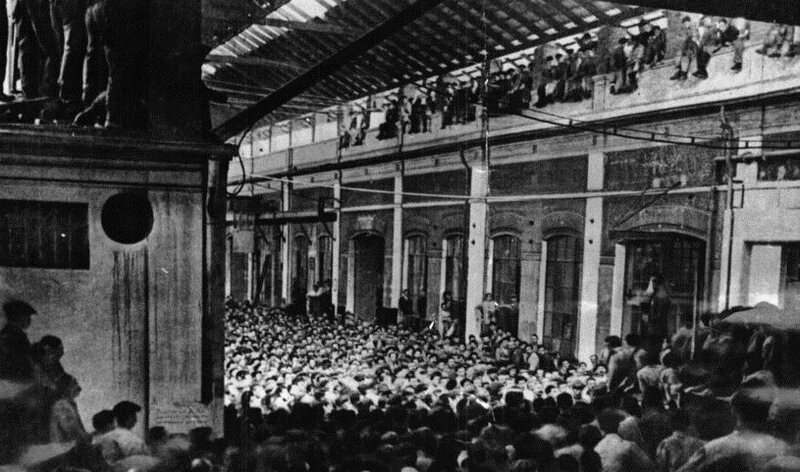 In this chapter we shall try to project the mass strike process beyond the limits it has so far reached in the U.S. To start with, let us look briefly at three occasions when workers in other countries Russia, Italy, and Spain have tried to take over the means of production and run them for themselves. They are presented not as models to be followed - all took place under circumstances that practically guaranteed failure but as experiments showing how in certain conditions mass strikes can turn into revolutions, and revealing some of the problems they then face and the solutions that come to hand. This text was taken and very slightly edited by libcom to make sense as a stand-alone article from Jeremy Brecher's excellent book, Strike!